Looking for accommodation near South Tyneside College ? Our guest house accommodation in South Shields welcomes 100's of South Tyneside College visitors, students and examination candidates each year. South Tyneside College (shown above) is a short walk from our bed and breakfast accommodation at St George's Avenue, South Shields, Tyne & Wear, NE34 6ET. Our guest house has welcomed 1,000's of short and long term college students over the years. If you are looking for long term house-share type accommodation you can find two letting agencies at the bottom of our street so we are an ideal base to stay at whilst you view and secure long term accommodation however house rental letting agencies in South Shields require a minimum stay of six months. Is Annie's Guest House close to South Tyneside College, NE34 6ET ? Yes. Our bed and breakfast accommodation is near South Tyneside College aka South Shields Marine School - approximately twelve minutes walk. A map of the walking route from our guest house to South Tyneside College can be seen below. Annie's Guest House is at the top of the map under "Beach" (for "Beach Road") and South Tyneside College can be found at the bottom, highlighted in yellow. The walking route is marked in red. This is my second stay at Annie's while studying at the college, very fair price, comfy bed and a quiet environment to study/revise in the evenings, close to restaurants etc and a cracking breakfast included in the morning to set you up for the day. Highly recommended. 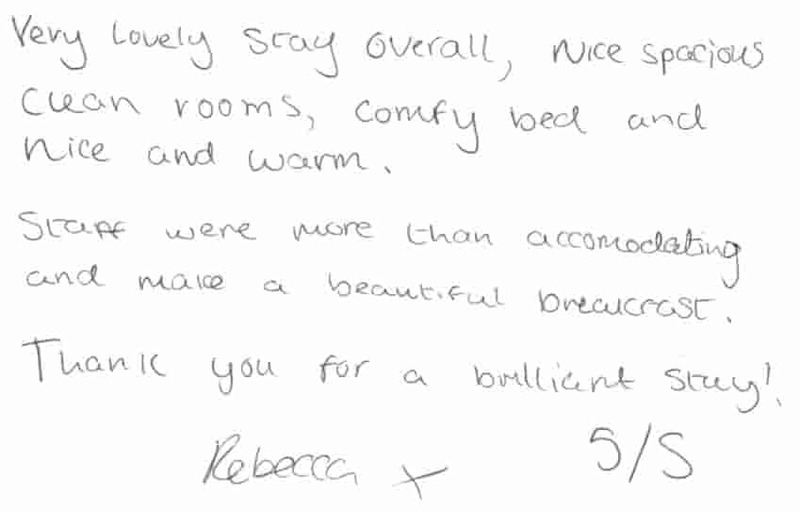 - Guest comments after a three week stay with us while taking a short course at South Tyneside College. Lovely stay, lovely room, very comfortable, quiet, perfect for the Maritime College. Thanks. 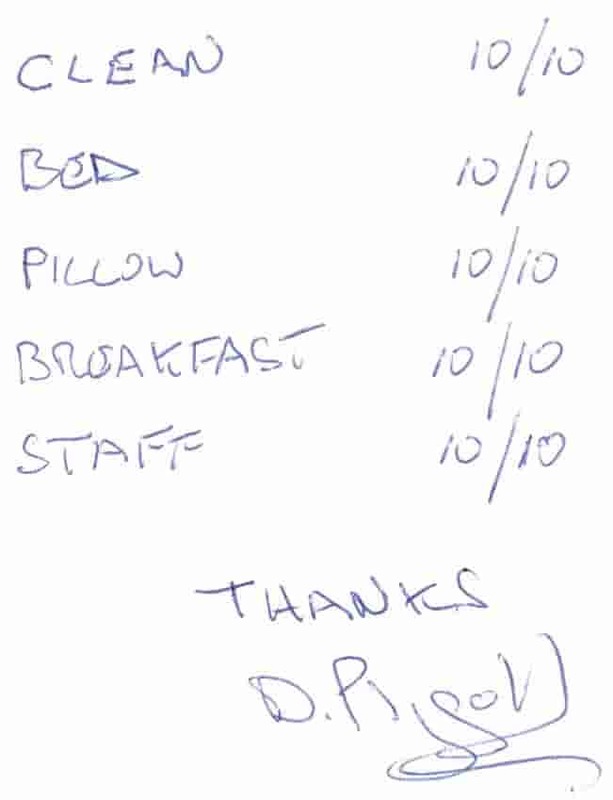 - Comments from a guest who stayed with us for five weeks while taking a short course at South Tyneside College. Very pleasant stay. Received a warm welcome and good hospitality throughout. Room was very tidy, bed was comfortable. Cooked breakfast was very nice. Would stay again. 10/10. - Guest feedback after a stay in one of our standard single bedrooms while studying at South Tyneside College. It was an excellent stay, very homely, very clean. 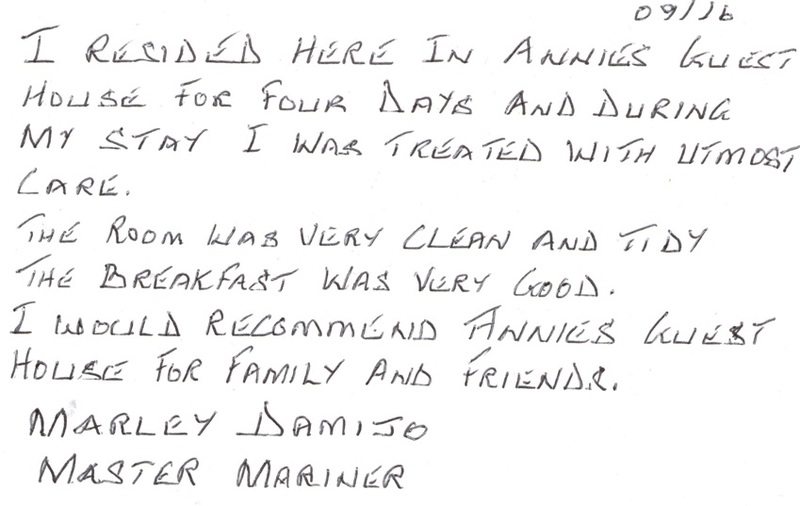 ★★★★★ Five stars to Annie's Guest House. 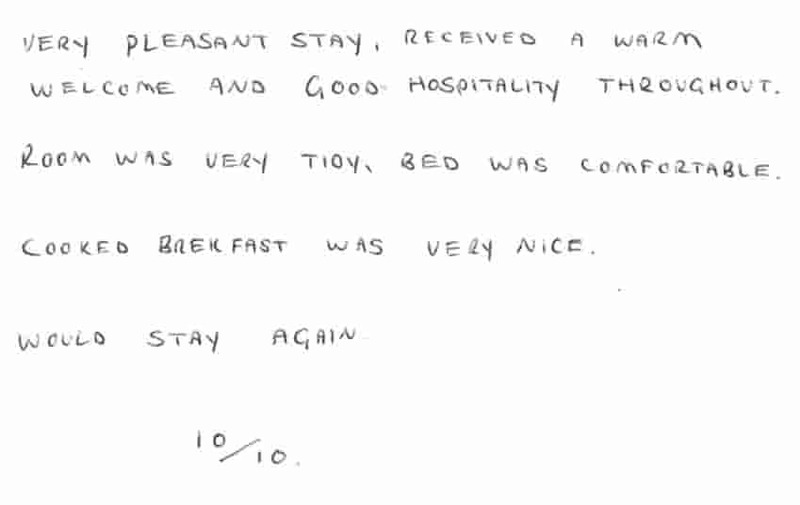 - Comments from a guest from India who stayed with us for three nights while taking exams at South Tyneside College. As an alternative to walking, regular bus services run throughout the day and evening to and from the college, board at the bottom of our street at the Town Hall for a five minute journey to the main college site entrance using bus numbers 30 or 20. Those more familiar with the South Tyneside College campus may instead choose the 10 or 11 bus routes that travel along Beach Road itself and depart the bus on Horsley Hill Road at the Grosvenor Road junction. This gives easy access to the buildings at the back of the complex including The Martec aka 1861 Club and Dr Winterbottom Hall accommodation at South Tyneside College. (Route numbers and routes correct at the time of writing, February 2016). Timetable information for the #30 service is shown below. 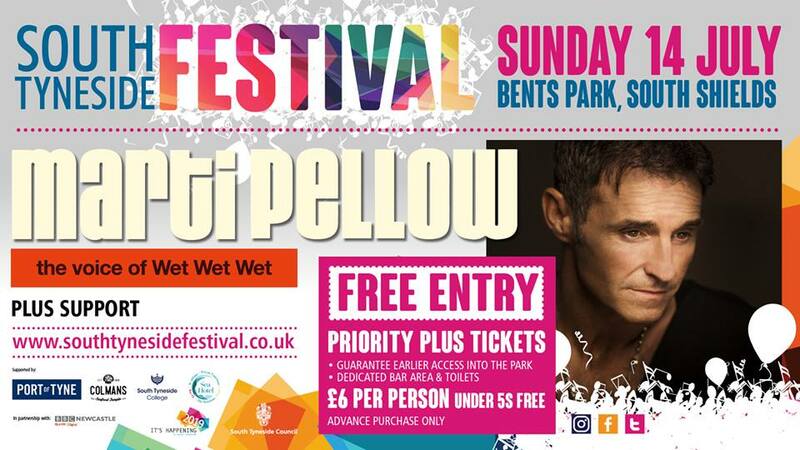 If you are staying with us South Shields Town Hall is where you will board the bus and Westoe is the area where you will disembark. A link to download a high-quality copy of this bus timetable is below the preview. Although the timetable is from 2011 it is still valid/unchanged (Autumn 2017). Driving instead of walking? 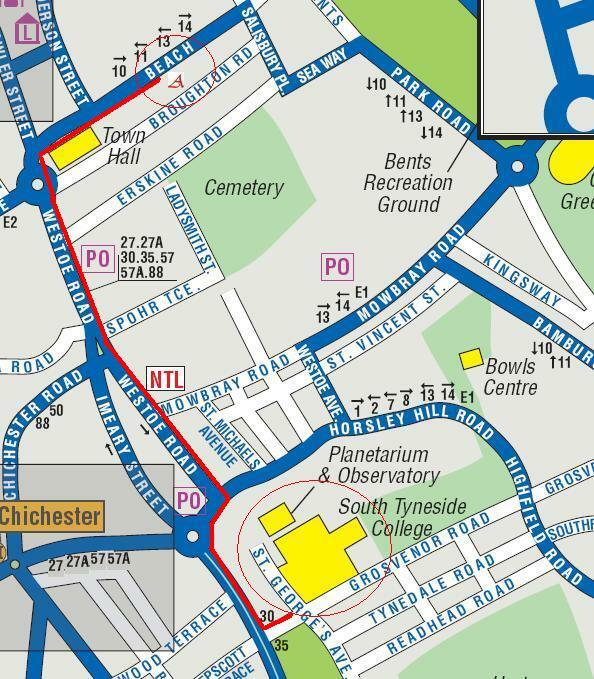 Car parking is unrestricted and unmetered at the front of our South Tyneside bed and breakfast and driving to South Tyneside College using the same walking route shown above (via South Shields Town Hall and Westoe Road) takes just five minutes. For information about our rooms and facilities visit our bedrooms page. Ready to book? Visit our online booking page.